Our name is synonymous with quality; and keeping this stature of ours in check, we proceeded to ofenng Flush Doors which are every inch in compliance with IS 2202 and ISI standards. 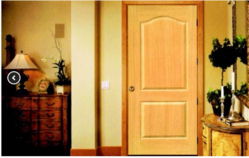 We are often called as the best Manufacturer and Supplier of Flush Doors in Kutch, Gujarat. These Doors, we offer, are made and processed using fine matenals This is why each Door is exemplary and Is endowed with strength and durability. And, what tops It all Is that they exude Immense elegance. Decorative Plywood is one of the most exquisite types of our Plywood olIenngs. which is made in line with the demand of fashionable society. We are bracketed with the top-notch Manufacturers and Suppliers of Decorative Plywood in Kutch. Gujarat, This elegant Plywood, we deal In, Is offered in a varIety of designs, patterns, colors and shades, to appease each one. 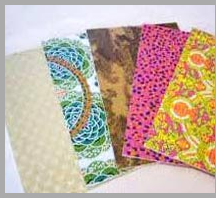 We process it using high-quality grain veneer sought from reliable vendors. And, when it comes to quality, we surpass it by adhering to ISI standards.